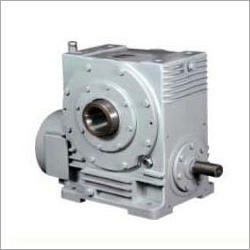 Pioneers in the industry, we offer hollow shaft worm gear box from India. Our company offers a wide range of Hollow Shaft Gear Box that is manufactured from top quality material in accordance with international quality standards. These gear boxes are provided in standard designs. Characterized by dimensional accuracy, these are widely demanded for industrial usage. Our team of highly experienced engineers and technicians oversees each and every stage of production of these super silent gears box.